Poemme’s J-Card art hosts verdant meadow beside deciduous treeline, all hedges and edges blurred via hungrily wide-eyed aperture. Soft glow of overexposure leaves only hints of shadows’ existence, all hues bleeding into darkness, rendered saturated. Radiant. The sounds cultivated and magnetized within bear much resemblance; an impossibly blissed-out wilderness of ambient swells & all-pervasive timbre warble (think SOTL), but with added angelic choral cloud whispers that lazily drift en masse above myriad mic’d bodies of water and birdsong, with seagull, pan flute, & tympanum accents paying subtle visitations, resulting in our slow’d heart rates, uncluttering/defragmenting minds, & relaaaxed everythaaangs. 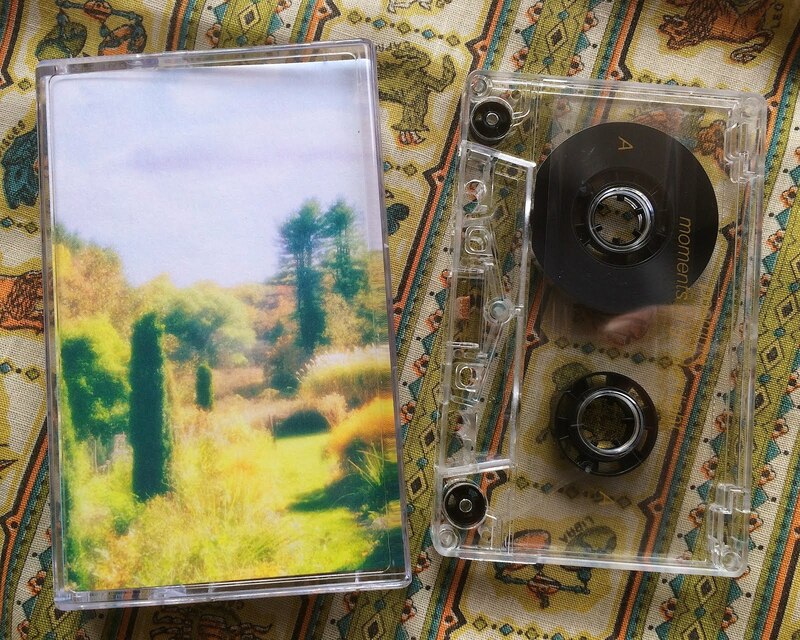 This tape is the perfect pairing to CT’s other summer batch release “Latitudes” by Mike Nigro & Andrew Osterhoudt, which explores similar space & beatifix, but juxtaposes heavily in the mood and rhythmic department. Great for listening back to back, Poemme’s “Moments In Golden Light” will shake off any weariness the former stated release might bring on, every single time, giving us a smooth tour of our psyches’ peaks, valleys, & kickball-able meadows.